Create a legally binding Alabama Bill of Sale with our attorney-drafted template! What Is an Alabama Bill of Sale? An Alabama bill of sale is a document that transfers legal ownership of personal property of some kind from one person to another. In the document, the person taking possession of the property is known as the buyer. The person giving their interest away is the seller. The property may be exchanged for money, traded items, or other items of value. If you're using a bill of sale in Alabama, it is important that you and the other involved party keep one or two extra copies as a record. This is important because it documents the change in ownership. What Are Some Common Bills of Sale Used in Alabama? In Alabama, the most commonly used bills of sale include one designed for selling an abandoned vehicle, a personal or commercial motor vehicle, a boat, and a gun. It's important to note that while all Alabama bills of sale will have some commonalities that you'll learn about in the next section, certain types of property must be documented in a bill of sale in a certain way. For example, when a vehicle meets the State of Alabama's definition of an abandoned vehicle, the owner(s) of the vehicle must be given at least 30 days' notice before you sell off the vehicle. How Do I Write an Alabama Bill of Sale? In Alabama, a bill of sale must have certain information about the buyer, the seller, and the piece of property that's being transferred. It's also important to use a bill of sale if you're giving the property as a gift to another person. For a general bill of sale that's used for personal property that isn't classified as a gun, boat, or motor vehicle, you'll need to include the following information. You need the name; address (including city and state); and driver's license number of both the buyer and the seller. You will need to provide a description of the property. If the property has a serial number or model number (or both! ), make sure that it is included in the bill of sale. Next, you should include the trade or purchase price of the personal property. It should also include the date that bill of sale was created and when the item was or will be paid for. 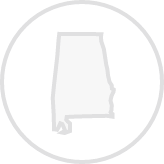 If there is a payment plan in place, an Alabama bill of sale should include the date for the last payment. If there are additional terms for the sale, it should be listed. When there is an item being traded, the seller should have an affirmation listed that they accept the trade as described. The final necessary components to the bill of sale is the buyer and seller both signing and dating the agreement. Make sure that the names of both parties are clearly printed. For an Alabama bill of sale for an abandoned vehicle, you need to add some other elements. In addition to information about those involved in the buying process that you learned about in the previous section, you must include the VIN; the year, make, and model of the vehicle; the date the vehicle was abandoned (remember that Alabama state law requires you to give at least 30 days' notice to the vehicle owner before you sell it. Form MVT 32-13R must be completed and sent to the owner via certified mail); the date of the sale; and the location of the sale. You'll also have to include the dates that you published the notice of the sale in the newspaper or the courthouse as well as the name of the newspaper or courthouse. If there is a lienholder on the vehicle, you must send certified mail to them as well. The bill of sale must include the sale price of the abandoned vehicle; the amount of money spent on repairing it; towing expenses; storage expenses; any other expenses that you will deduct from the price of the sale; and the net sale balance. The bill of sale and the MVT form should be property signed by the buyer. The seller should sign the bill of sale as well. Remember that the document should include the printed name and address of the involved parties. Similar to an Alabama bill of sale for an abandoned vehicle, you will need the buyer and seller's name and personal information; driver's license numbers of both parties; the year, make, and model of the vehicle; and the VIN. You'll also need to include the amount of the purchase price as well as any information about an existing lienholder on the vehicle. Just like the other bills of sale discussed, you must include the names, addresses, and driver's license numbers of the involved party; the make, length, and year of the boat; the Hull ID; the registration number; the odometer reading in hours; and the title number. You must also indicate whether there is a trailer involved in the sale. If the answer is yes, you must include the number of outboard motors; the make and year; and the horse power. In addition to the name, address, and driver's license number of the buyer and the seller, there is some additional information that must be included in a bill of sale for a gun. You must include the make; type or model; caliber; and serial number of the gun. You must include the trade or purchase price. You must include when the payment for the gun was or will be made. If there is a payment plan in place, the bill of sale must include the date that the last payment is expected. If there are additional terms for the sale, they should be included. If there is a trade involved, you must explain what item is being traded for the gun. Is an Alabama Bill of Sale Required to Register a Motor Vehicle? Yes, an Alabama bill of sale is required to register a motor vehicle. In fact, the vehicle must be registered with the state within 20 days of purchasing the vehicle. If this is the first time that the vehicle has been registered in Alabama, Form MVT 5-10 must be completed by a licensed official under Alabama Section 810-5-1-247. You will need to take your bill of sale, a copy of your liability insurance, the title, and the registration fee. If you don't have a title, you must complete Form MVT 12-1. You complete the registration process through a DMV location in your county. Is an Alabama Bill of Sale Required to Register a Boat? Yes, an Alabama bill of sale is required to register a boat. You must register a new boat within three days of purchasing it. If the boat is used, you must register it within 15 days. To complete the registration process, you'll take your Alabama bill of sale, a completed Application for Boat Registration, and the proper fee based on the size of your boat to the county probate office. If you're selling the boat, you must notify the Marine Patrol Division no later than 15 days after the sale. Is a Bill of Sale Required to Register a Gun in Alabama? No. There is no registration process for gun ownership in Alabama. However, completing an Alabama bill of sale for a gun is still beneficial since it documents the ownership transfer of the firearm. If you're interested in getting a conceal and carry license for the gun, you must apply through the Sheriff's department if you meet the legal qualifications. Create a free Alabama Bill of Sale in minutes with our professional document builder.